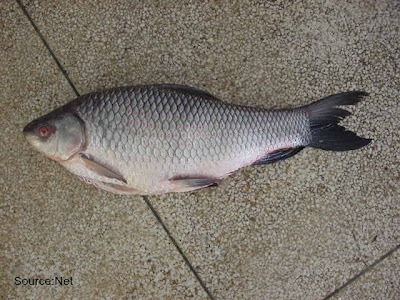 Rohu fish or carp fish is a river fish which is very famous in Bengal.For more information refer wiki .I bought this fish from the reel in super market last week and prepared fish fry in Konkani style.This fish has to be eaten carefully as it has lot of thorns.So be cautious if it is new to you’ll. Taste wise it is very good and fleshy. Marinate the fish with salt and keep it aside for 20 minutes. 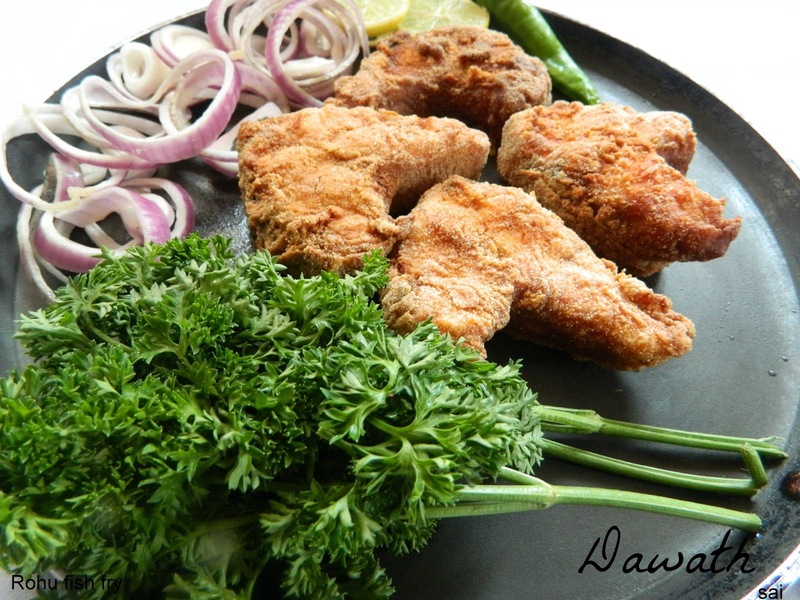 Make a paste with chilly powder,Asafoetida,turmeric powder and gram flour. Apply it to the fish and marinate again for an hour. 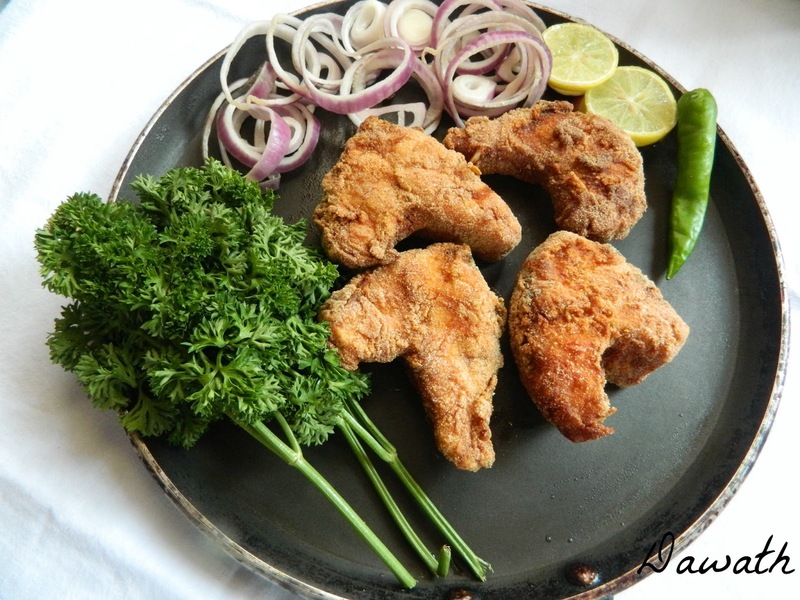 Dip the marinated fish in the rice flour or semolina and heat oil and deep fry and cook until it gets cooked and crisp.